The Ratanakkiri provincial governor has told all officials and citizens in the province not to participate in civil society events during the upcoming campaign and election period. In a letter dated June 13 and obtained by the Post yesterday, provincial governor Pao Ham Pan asks NGOs not to schedule events between June 27 and July 28 because public officials need to focus on organising and overseeing the elections. Clarifying the letter’s contents yesterday, governor Ham Pan said that NGOs would not be punished for failing to heed the letter, which he said was distributed to several organisations earlier in the month. Less than five months from the national elections, Prime Minister Hun Sen on Tuesday warned the public that his ruling CPP would stop making charitable donations toward infrastructure and national development if the party is not reelected. “The CPP is now doing hundreds of thousands of projects, small and large projects, for which the budget, rather than from the national budget, comes from CPP members including military officials, farmers, business and investors, who pump resources into these projects to assist people,” Mr. Hun Sen said. “When the election comes, if people don’t vote for [the CPP], we will be disheartened and will stop giving,” he said. “All projects will be eliminated…. Even a project like pumping water to dry farms,” the prime minister said. “I would like to inform that in 2014, if the CPP loses the election, the monks will not get Kathen anymore,” Mr. Hun Sen said, also claiming that buildings bearing his name would be destroyed by a new government in the event of a CPP election loss. Political parties are not allowed to campaign until a month before elections, but Mr. Hun Sen claimed his comments did not constitute campaigning, as they were merely facts. ~ by responsiblenomad on June 26, 2013. You sum it up in your last sentence, the forcefulness of the PM’s remarks are worrying to say the least. I am not well versed in the politics of Cambodia, but know a little, so thanks for sharing this, its appreciated. Keep up the good work. Thanks for the kind feedback, Matthew! 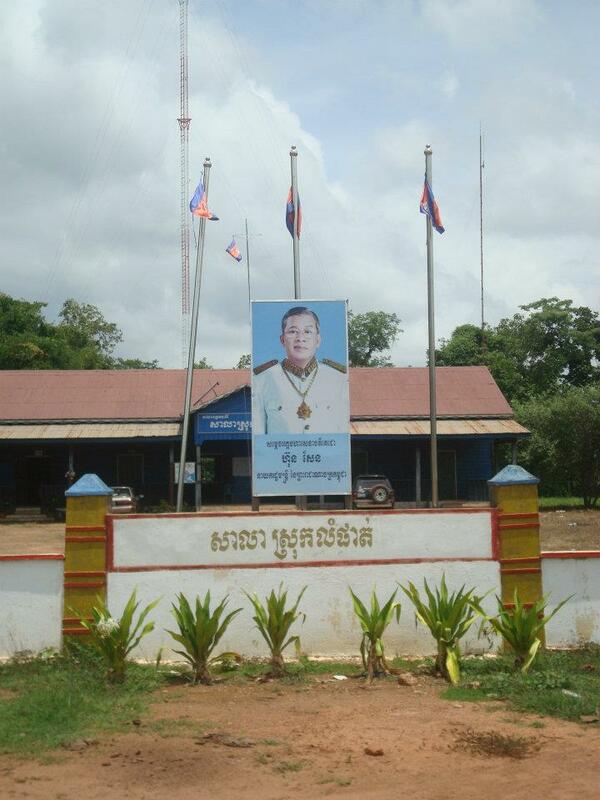 Appreciate it – though I have moved away from Cambodia, I am still very much drawn to the country. Civl society has had its share of triumphs and setbacks, but it appears that there is more and more dialogue starting to filter out to a wider audience (though not nearly as much as a context like Myanmar). Thanks again – and keep up the excellent writing on your end too!